Often, merchandise that is unmarketable ends up going to landfill so they are not resold at reduced rates by a third party. At HSR Services, we will take obsolete, defective or returned merchandise and destroy it via dismantling, cutting, or crushing, and then sell the material as a recyclable commodity. 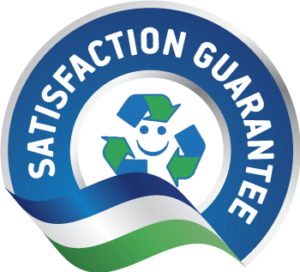 Because the material used to make the product has value to us, we are able to perform this service at a much lower rate than landfill tipping fees. Also, we have our own trucks, which can often reduce hauling rates. HSR Services does not resell merchandise; we only sell commodities such as: non-ferrous and ferrous metals, plastics, paper fibers, printed circuit boards, and lead acid batteries. A certificate of destruction is issued upon completion of the destruction of the merchandise so you can be reassured that nothing was resold. Let us know how we can make your merchandise destruction projects easier.